It’s a wise investment. We all profit from the economic, physical and environmental health benefits of natural lands. Preserved lands protect our water supply. Highlands forests in northwestern New Jersey filter drinking water supplies for over half of New Jerseyans. All New Jerseyans deserve parks to play in, trails to walk on, local farm stands to buy from, and clean rivers and lakes to swim and fish in. Real estate prices are at historic lows. The time to preserve land is NOW! Land preservation benefits landowners as well as surrounding communities. For every single-family home built, municipalities collect additional property taxes. However, the cost of providing roads, police and firefighter services, education, and other amenities far exceeds the increase in tax revenue. Preserved open space and farmland requires few municipal services. With better planning for land preservation and focused development, municipalities might avoid sprawl, preserve the character of their community, provide recreation space for their residents and protect the water supply and air quality. Landowners who preserve their lands may also derive a financial benefit. 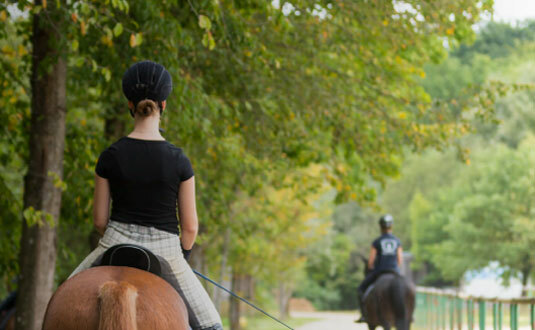 The landowner may be eligible to receive tax benefits by deducting the value of a donation of land, or a donation of the development rights on the land, from his or her taxes for up to six years. A landowner who restricts development on his or her property by placing a conservation easement on the property may also reduce annual property taxes. New Jersey Conservation Foundation strongly urges landowners to consult with their personal tax advisors regarding eligible deductions. Hear Dr. James Hughes, Dean of the Bloustein School of Planning and Public Policy at Rutgers University, speak about the economic benefits of preserving land and historic sites. Listen to Maureen Ogden, former Assemblywoman and current co-chair of the Keep It Green campaign, speak about the need for continued land preservation. Visit the Garden State Preservation Trust website, which provides detailed county-by-county lists of properties that have been preserved. Read the Keep It Green report, A Legacy of Green: Celebrating 50 Years of the Green Acres Program. Read about urban growth and open space loss in New Jersey in a joint study by researchers at Rowan University and Rutgers University. We all profit from the economic, physical and environmental health benefits of natural lands. Links to the various programs funded under the Garden State Preservation Trust. 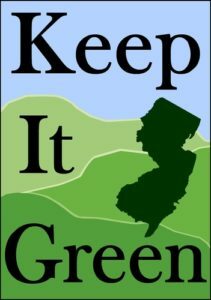 Consider donating today to help ensure the future of New Jersey's natural resources.